Liguria sightseeing includes some of Italy’s most scenic and picturesque destinations. Overlooking the sea its position made it a popular Italy vacation destination since the ancient times. It is located in northwest Italy. Its capital city is Genoa, one of Italy’s original maritime republics. 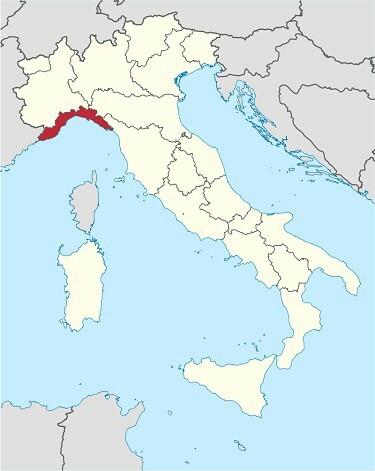 The region is bordered by France to the West, Piedmont and Lombardy to the north, and Emila Romagna and Tuscany to the west. Some of Italy’s best beaches are located in Liguria, especially toward France along the Italian Riviera. It is easily reachable by train directly from Milan and from Florence and Bologna via La Spezia. For more about sightseeing in Liguria watch the Liguria sightseeing video below. One of the most popular vacation destinations in Liguria is the Cinque Terre. These five hamlets located along the sea are popular with hikers. Although recently the overwhelming influx of tourists to this fragile forced the local government to begin limited the number of visitors who can enter daily. Ligurian cruise ports include Genoa, home of Christopher Columbus, La Spezia, famous for its spectacular gardens, and Savona, a lesser-known cruise port. All are very important Mediterranean ports. Genoa although not inundated with tourists is a world class destination. The city includes important museums, mansions, and a long history. Portofino is an international jet setters destination. Santa Margherita and Cinque Terre are popular Italian cruise destinations for small luxury cruise ships. Another charming destination close the Cinque Terre is Portovenere, where the poets Shelly and Byron made their home. 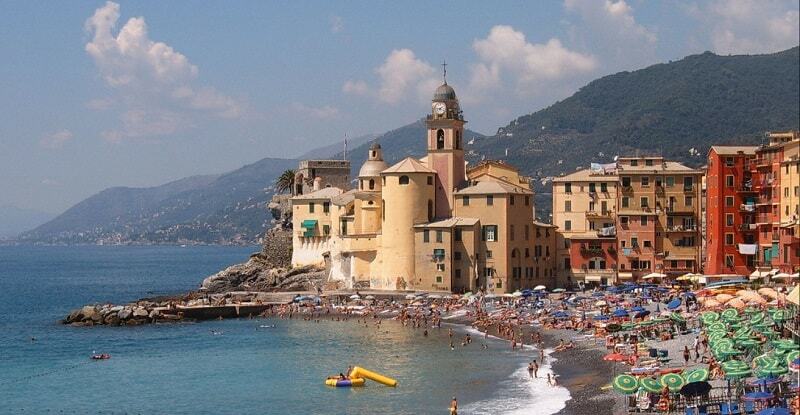 And just north of Portofino is Camogli, one of Italy’s popular and most picturesque seaside beach towns. Sanremo attracts locals and tourists for its annual music festival, which dates back to 1951 and the Italian “La Dolce Vita” period. Liguria is famous for its seafood and pesto, which ingredients include local ingredients pine nuts, basil, and olives, all of which come right off the Ligurian hills overlooking the Mediterranean sea. 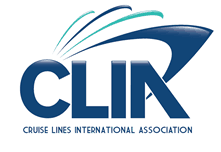 Click here for northern Italy and Cinque Terre escorted tours and vacation information.